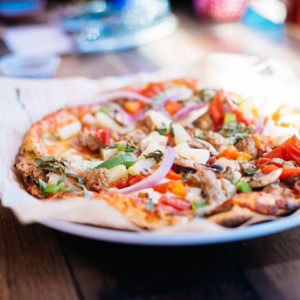 Located on Hill Road North near Advance Auto Parts, MOD Pickerington serves up personal-size artisan-style pizzas and salads for lunch and dinner. Customize your order from over 30 ingredients – classic to seasonal, and lots of delicious stuff in between. Come visit MOD Pizza today and see what our MOD Squad can make for you! We support local schools and nonprofits through fundraisers and donations all year, including BrockStrong Foundation, a non-profit organization that was founded to continue the legacy of Brock, B-Rock Johnson by supporting the community, travel baseball and Nationwide Children’s Hospital. Find out how MOD can support your organization or charity here.